Join us for our Holiday Open House. It's always held the first Saturday and Sunday of December. This event is sure to entice all your senses and get you in the spirit of the holidays. 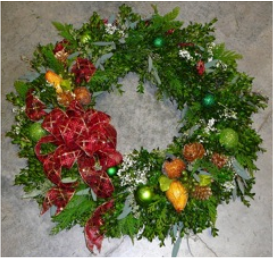 You will be dazzled by the colorful display of poinsettias and glittering holiday decorations. The aroma of hot cider and fresh balsam that fills our shop will make you feel like you've taken a step back in time. 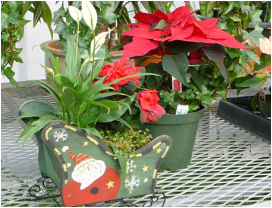 Enjoy some delicious homemade cookies while you listen to carols and browse through our greenhouses.